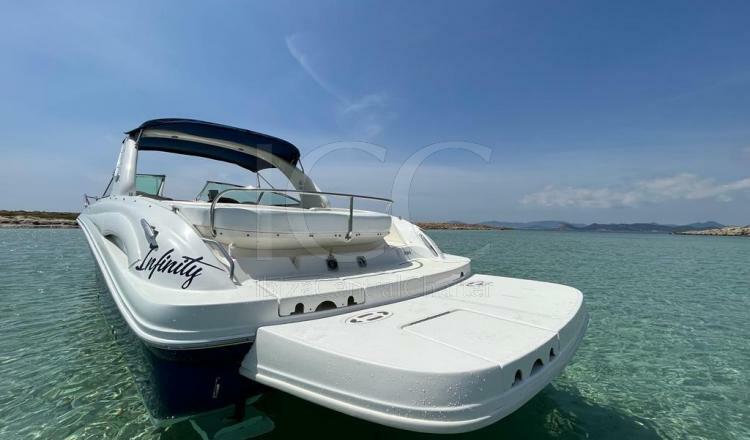 The Sea Ray 295 with a length of 10 meters can accommodate 12 passengers on board. 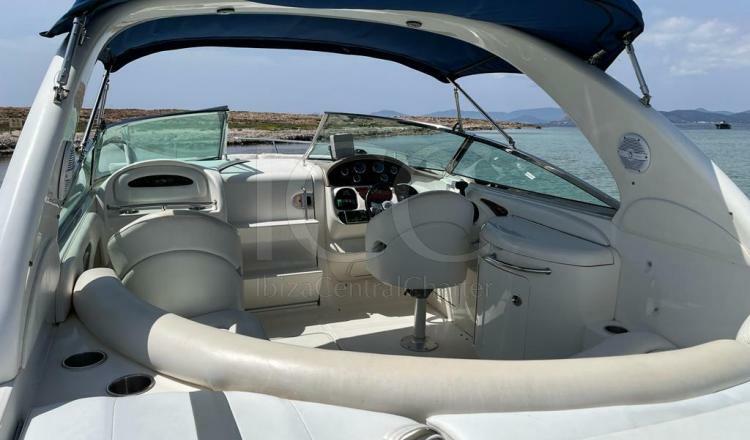 It has a sporty design, with great amplitude and without forgetting the comfort on board. 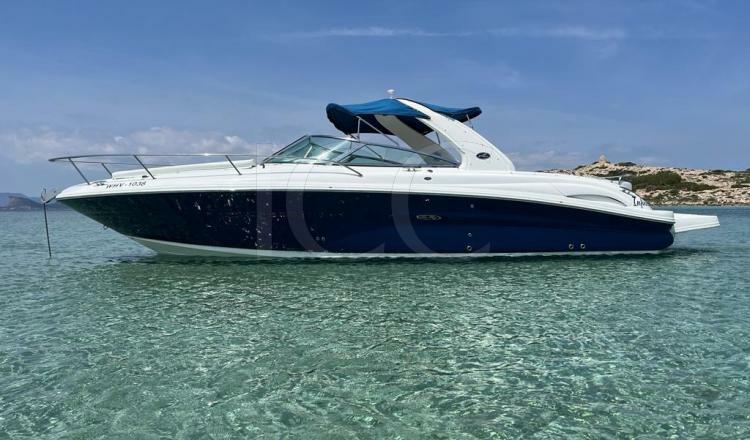 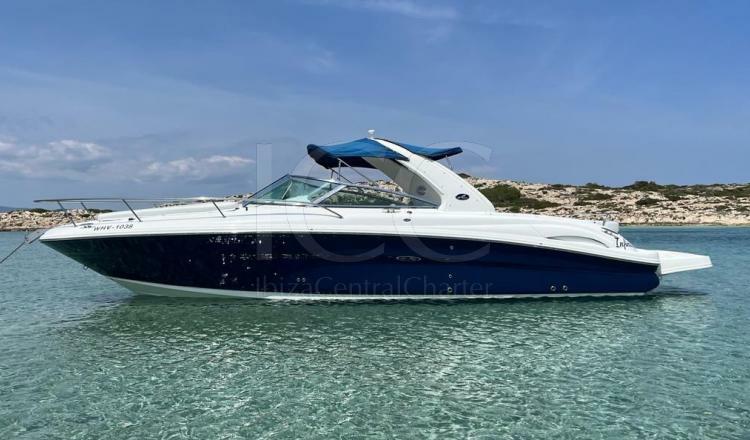 Equipped with all the necessary amenities to enjoy a relaxing holiday, the Sea Ray 295 becomes the perfect boat to get to know the islands of Ibiza and Formentera with friends or family. 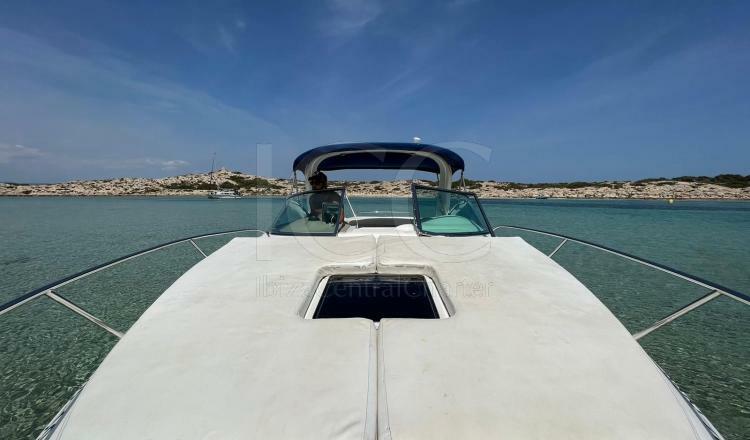 It has U-shaped seats with a picnic table in the bow, which can be converted into a magnificent solarium for sunbathing. 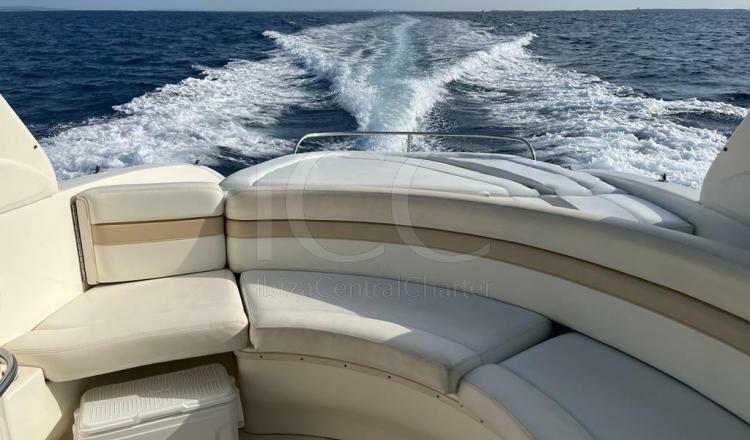 On the other hand, in the aft area there is a comfortable semicircular sofa with an ideal fridge to enjoy a summer snack outdoors. 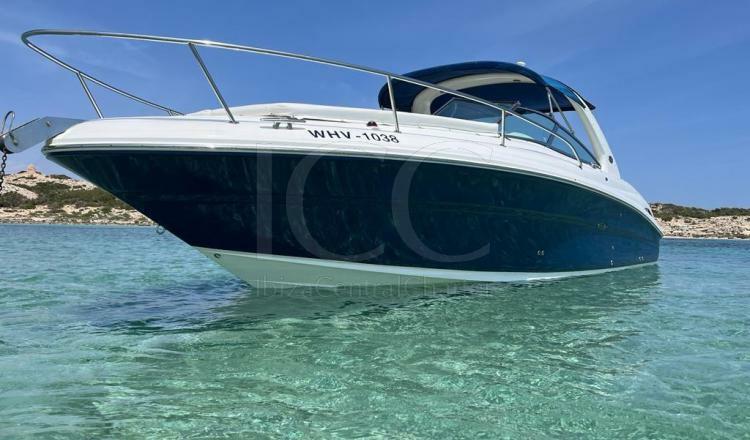 The bathing platform, with integrated swim ladder, facilitates the entrance to the turquoise waters. 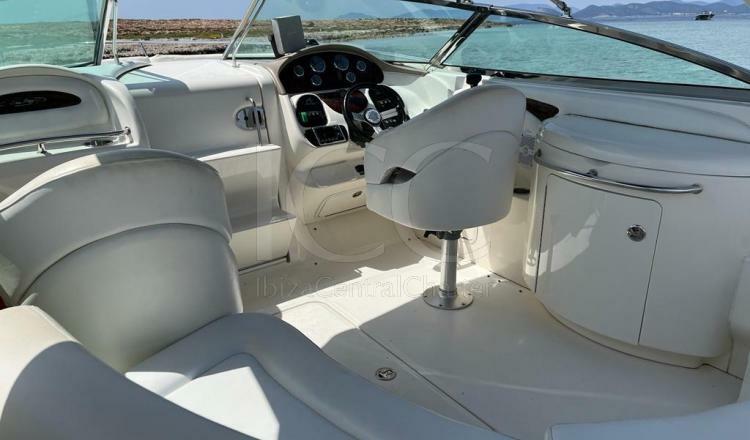 The boat is perfectly equipped with the power of 2 Mercruiser engines 5.0 260 hp, which allows you to carry it smoothly and comfortably through any sea condition you encounter.